Short Sleeve Ladies Baseball Cardigan by Michael Simon. 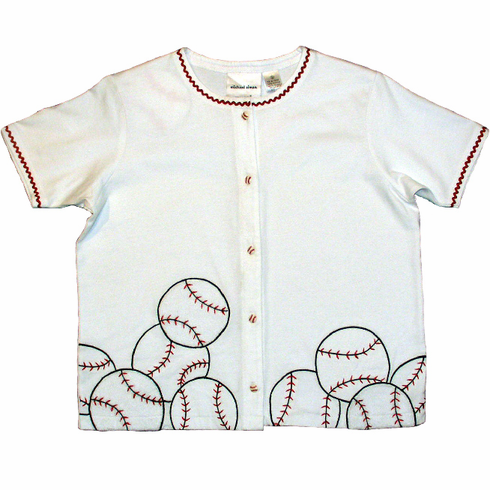 Michael Simon hits another home run with this white short sleeve baseball cardigan. Embroidered baseballs make this a one-of-a-kind jersey that is perfect to wear to the game or just about anywhere.